I am feeling a lot of stress. Trying to finish art projects for Cocoran Botanical Drawing course. Gathering supplies for Art Expedition. 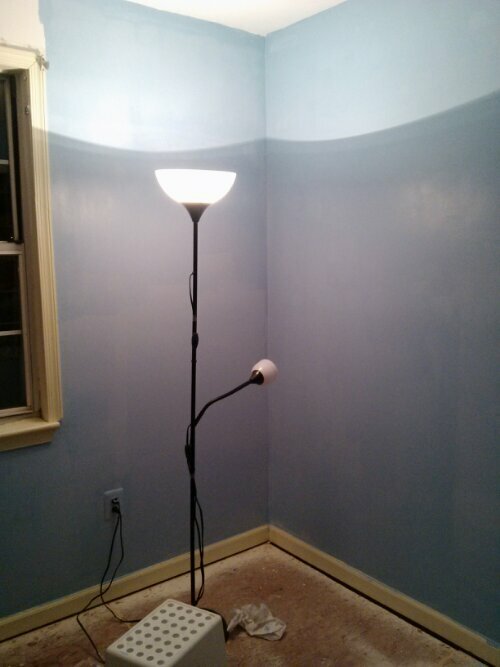 Painting Joe’s bedroom and floor. Well as you can tell,I choose sitting and “Playing with my Phone”. My list accomplishments today: moved boxes of stuff to artroom, painted ceiling and walls in Joe’s room, found paper cutter to to cut metal for icons, decided on blue paint for the icon boards(just happens to match Joe’s walls..lol). Later tonight: paint boards and floors. 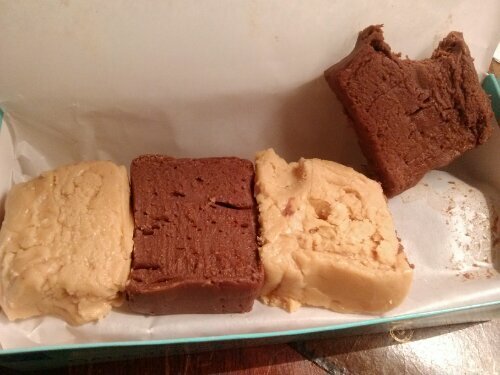 The eat chocolate fudge to make everything nice. Yumm!!!! Such a stress buster.